The nutrient-sensing TO R (target of rapamycin) pathway is involved in cellular and organismal aging. Rapamycin, an inhibitor of TO R, extends lifespan in yeast, fruit flies and genetically heterogeneous mice. Here, we demonstrate that lifelong administration of rapamycin extends lifespan in female 129/Sv mice characterized by normal mean lifespan of 2 y. Importantly, rapamycin was administrated intermittently (2 weeks per month) starting from the age of 2 mo. Rapamycin inhibited age-related weight gain, decreased aging rate, increased lifespan (especially in the last survivors) and delayed spontaneous cancer. 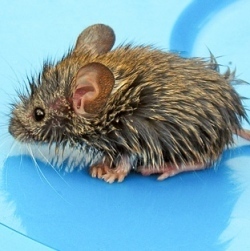 22.9% of rapamycin-treated mice survived the age of death of the last mouse in control group. Thus we demonstrated for the first time in normal inbred mice that lifespan can be extended by rapamycin. This opens an avenue to develop optimal doses and schedules of rapamycin as an anti-aging modality.